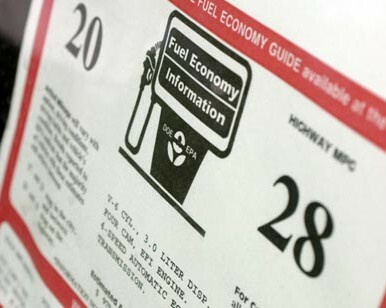 Corporate Average Fuel Economy (CAFE) is the sales weighted average fuel economy, expressed in miles per gallon (mpg), of a manufacturer’s fleet of passenger cars or light trucks as measured by the Environmental Protection Agency (EPA). Though it had been a priority for environmentalists for decades, fuel economy standards had not been raised in this country in over 30 years. In 2006, after analyzing the political dynamics, we advised a key funder that the time may be ripe to achieve the long sought after increase. In response, a coalition engaged The Mellman Group to develop a plan that would help lead to higher fuel efficiency standards within the next four years. We designed a research program which would provide message guidance, but also influence decision-makers. We started where the debate had ended last time. Five years before, auto companies killed tougher CAFE standards by telling farm state Senators that such an increase would mean the end of pick-up trucks, earning them the lasting enmity of their rural constituents. So our first step was a targeted survey of pickup truck owners which found they rejected the industry’s argument and overwhelmingly favored higher fuel economy standards. We briefed key Members on these results and several shifted their position, even co-sponsoring the new legislation. We also knew that the old “environmental” arguments were insufficient on their own to win the day. Instead, our research revealed we could make CAFE a national security and cost of living issue in ways that were much more potent. We developed persuasive messages in each area (e.g. “we should not be sending half a billion dollars a day to people who want to kill us,” “higher fuel economy standards mean you will pay less to fill up your tank”) which were in turn briefed to Members and used in a powerful advertising campaign. Through our briefings, Members came to understand that much more was at stake than just “the environment,” and we gained large numbers of new supporters. Our state and Congressional District polls led to articles in local papers describing constituent support. We even found that Michigan auto workers favored the higher fuel efficiency standards seeing them as a way to force manufacturers to build more competitive vehicles. A Veteran’s Day poll, highlighted national security oriented CAFE messages. As we got close to victory, opponents made a last ditch effort to derail the legislation. Through our continuing work with the Congressional leadership, we knew that Members were extremely sensitive to low Congressional approval ratings and the sense they accomplished little. Playing directly to these sentiments we devised a poll demonstrating that passing CAFE would be regarded by voters as the single most important accomplishment of that Congress and do more to improve its image than any other legislative action. On December 19, 2007 President Bush signed the Energy Independence and Security Act into law, which increased CAFE standards for the first time in over 30 years. The requirements apply to all passenger automobiles, including “light trucks.” Both the Speaker of the House and the Senate Majority Leader cited the importance of The Mellman Group’s research in achieving the ultimate outcome. “Passing this landmark legislation required us to overcome several obstacles, from making the case for increased CAFE standards to members from automobile states to making a clear link between CAFE, gas prices and national security in the minds of American Voters. The hard work of The Mellman Group was a critical part of our successful efforts. Many polling companies stop when their data is released. For the Mellman Group, the numbers were just the beginning. Armed with authoritative data, you developed a persuasive message and an effective plan to spread that message, both inside and outside the beltway.